I’ve been looking for a few fantails basically since I moved here, but they are not offered up for sale very often. Last night I saw an ad for two pairs of these lovely birds for $40. They were a mix of black and white which I was especially interested in, as usually I only see whites for sale. Today they were dropped off and there were actually five birds, so I got an extra hen for free. They are definitely much different from my homing pigeons. They do not fly as well and have a comical, though beautiful appearance. I hope they enjoy their new living situation! 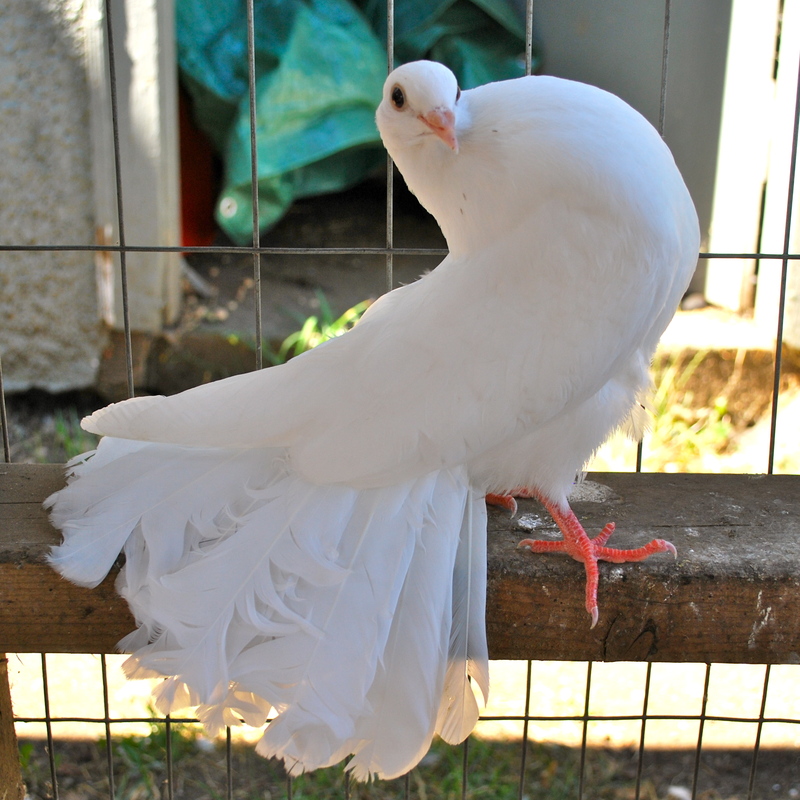 This entry was posted in fantail pigeons and tagged fantails, white doves. Bookmark the permalink. ← Button Quail Have Hatched! Very pretty plumage! They all look a little twisted up, is that really how they’re designed? Yes, they’re bred to look like that. Looks rather uncomfortable, I’d like to straighten them out. How ever do they eat? They can straighten themselves out when they want to, they just seem to prefer to stand all folded up. 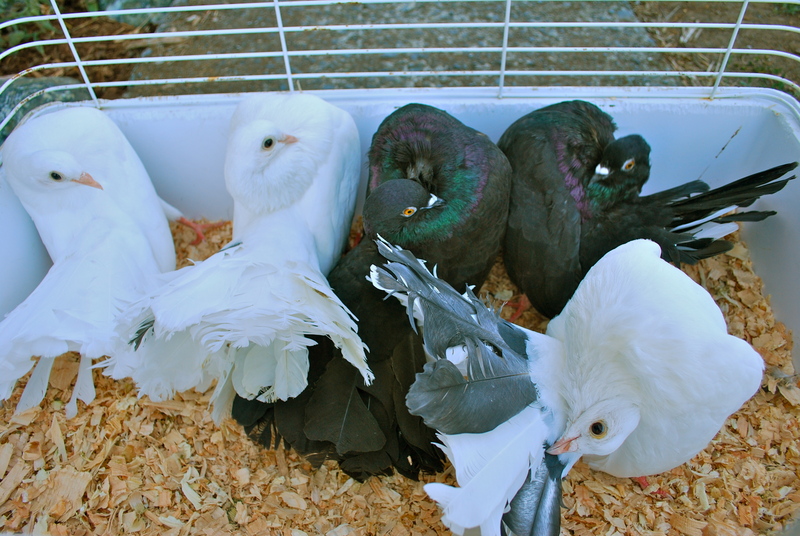 They look pretty normal compared to a lot of other fancy pigeons! They do look all twisted up! They look like they’re curious about your camera and they’re trying to crane their necks to see it better. 🙂 They are very beautiful though. I especially like the white ones.